Psycleworx classes are created to celebrate the local community. We’ve partnered with 11 local charities that improve the lives of our neighbours, friends, coworkers, and family every day. Let’s celebrate this community, and the opening of Psycleworx, with 11 days of by-donation classes. On May 30th, 100% of proceeds will go to Team OVCARE. OVCARE (Ovarian Cancer Research) formed in late 2000 when a group of Vancouver-based physicians and scientists joined with the common vision of enhancing ovarian cancer research in British Columbia with the explicit goal of improving outcomes for ovarian cancer patients. For nine years, OVCARE has participated in the Ride to Conquer Cancer, and has raised more than $1 million dollars towards ovarian cancer research in BC. With your support, we will change the way ovarian cancer can be prevented, diagnosed and treated. Let's help Team OVCARE by riding to conquer ovarian cancer. 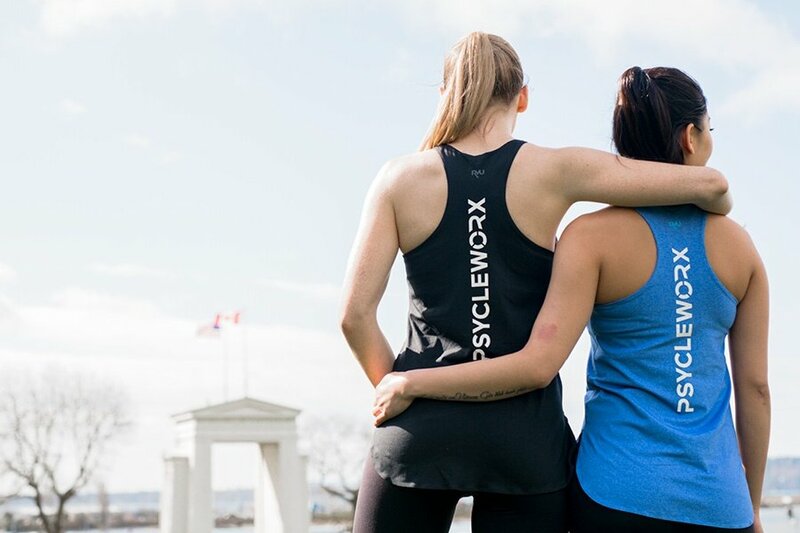 Now you can join the ride and support the cause by participating in one of Psycleworx’s charity rides on May 30th.